Summer is indeed ON in New York City! For me, summer is the perfect time to have a break and spend some quality time with my family. And what will be the best way of enjoying it than spending some time with your loved ones on the beach. 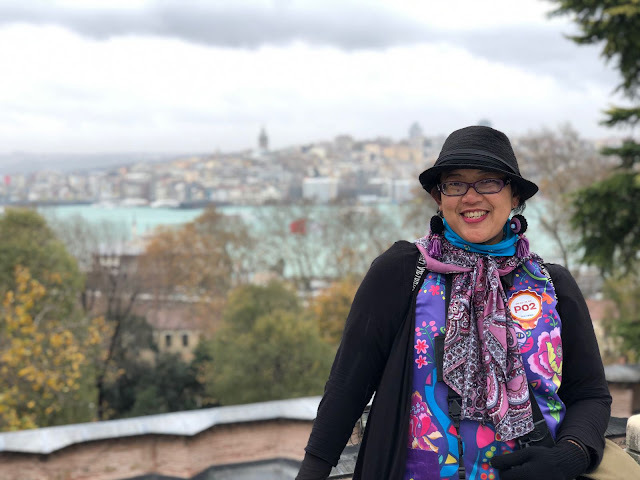 Born and raised in Lampung, Indonesia, - famous for its gorgeous beaches, clear blue sea and stunning marine tourism and underwater world, - my life has been packed with weekly trip to the beaches and islands. Since I got my diving license in 2011, I kept coming back to Lampung with my family to go diving or snorkeling there. If we did not have time to go back to Lampung, we explored the beaches in Jakarta and surrounding areas. Since moving in to New York City, my love to the deep blue sea has not diminished. Since we're living in the Big Apple, we're excited to explore the beautiful beaches and iconic buildings in New York City. So, where to go if we want to enjoy beautiful beaches in New York City and its surrounding areas? Good thing is, we have beautiful beaches to explore in New York City and traveling to the US is much more manageable now. You can get your travel authorization through Electronic System for Travel Authorization (ESTA). It's time to apply for your ESTA now, particularly to those who meet the requirements to travel here under the program of Visa Waiver. 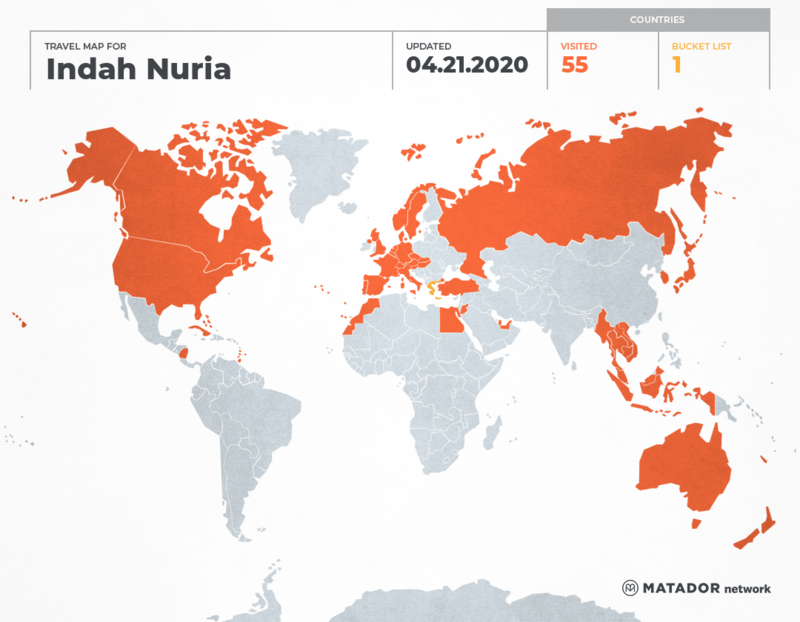 As of now, there are around 38 countries and entities, which are part of the Visa Waiver Program. Once you’ve got your visa sorted out, it’s time for sightseeing! 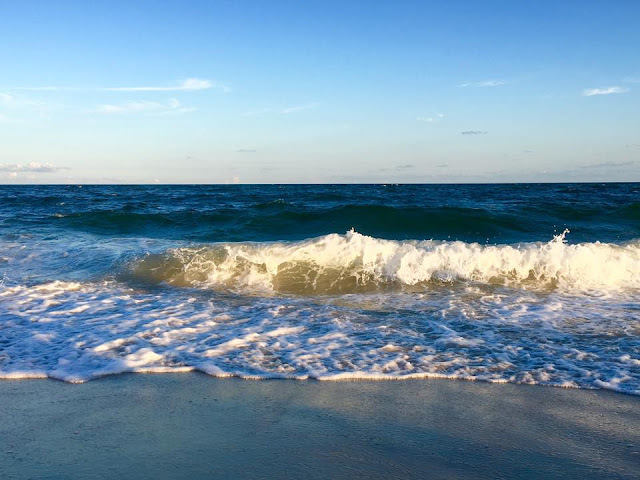 Here are some of the most beautiful (and famous) beaches we've visited in New York City and the surroundings during summer. 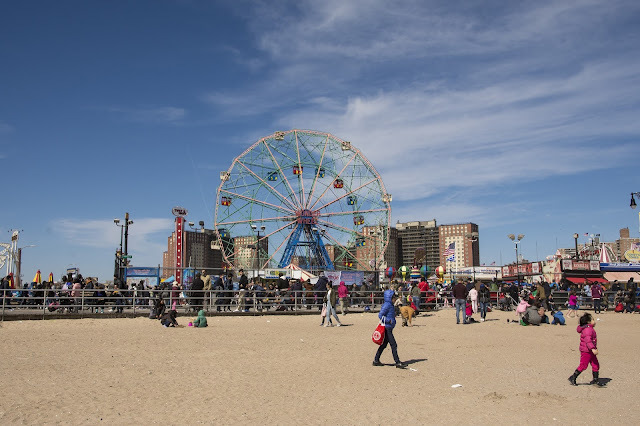 Coney Island is perhaps the most popular beach in New York City, no doubt about it. Located in Brooklyn, Coney Island is famous for its clean beaches and lovely soft sand shoreline. It is also long known for various theme parks along the promenade, with a variety of exciting rides. Luna Park is one of the theme parks I love to visit whenever I want let out some steams and screams. 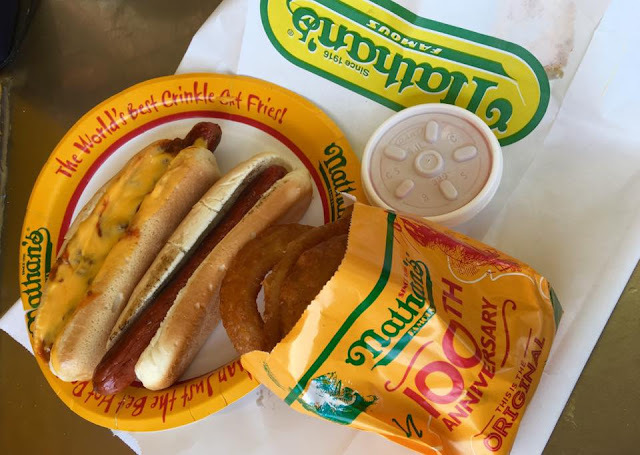 Not to mention the famous spot for hotdog lovers, Nathan's, is originated from here. Every year, Coney Island hosts the hotdog feeding contest in New York City on the 4th of July. It also hosts the colorful mermaid annual parade, another event too good to miss. Coney Island is the home of the New York Aquarium as well. grab your famous Nathan's hot dog! Coney island is also relatively easy to visit because it is connected with public transportation, namely subway N and Q. The exact subway path that passes our house in Astoria. It will take you around 30 - 40 minutes trip to go the Coney Island station, depending on your departure point. Although we swim here during the summer, the water is still cool enough, if it's not cold. But the sun will certainly warm us up immediately. Usually, we swim no more than 1 hour here and the rest, we play in the theme parks, hang out or enjoy some snack while listening to various street entertainment along the promenade Lovely spot to visit for sure! The Rockaway beach is located at the far end of Queens, one of the boroughs or sub-district level in New York City. It is relatively nearest from our home in Astoria, Long Island City, so we often spend time here. Its soft white sand and less-sloping beach make it a good place for my kids, Bo et Obi, who love swimming so much. But we have to remain vigilant as it is part of the Atlantic Ocean. 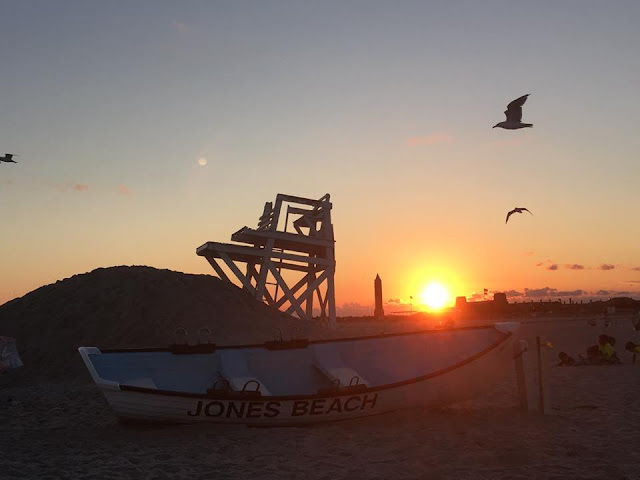 Rockaway beach is always crowded during the summer or any days when the weather is warm enough to swim.But the good thing is, Rockaway Beach is not as crowded as Coney Island, so it will be the perfect place for you who want to spend lovely and relatively calmer time with your family. Make sure you bring enough food and drinks as well as all the necessary items you might need. 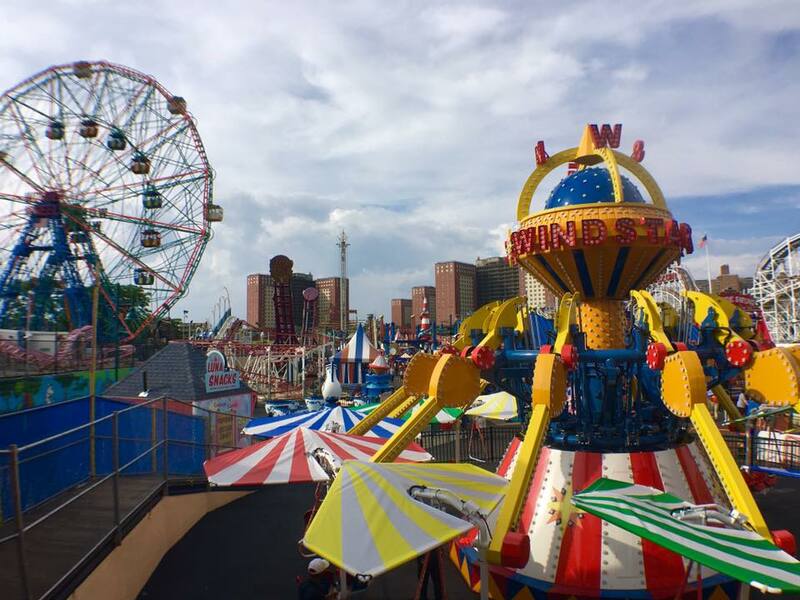 Just like Coney Island, we also have some choices or places to get food and drinks around here. It takes around 40 minutes drive to this beach from our place. If you want to take the public transport, I believe bus Q52 will take you directly to the Rockaway Beach Boulevard. You just need to find the connection from your point of departure to bus Q52. Jones beach is one of our favorite beaches and although it's a bit far from New York City compared to other beaches, we love coming back here. We really enjoy the white sandy beaches and beautiful sunset here. Jones Beach is actually part of the State Park and it frequently hosts concerts and events as well. I love the sunset here! 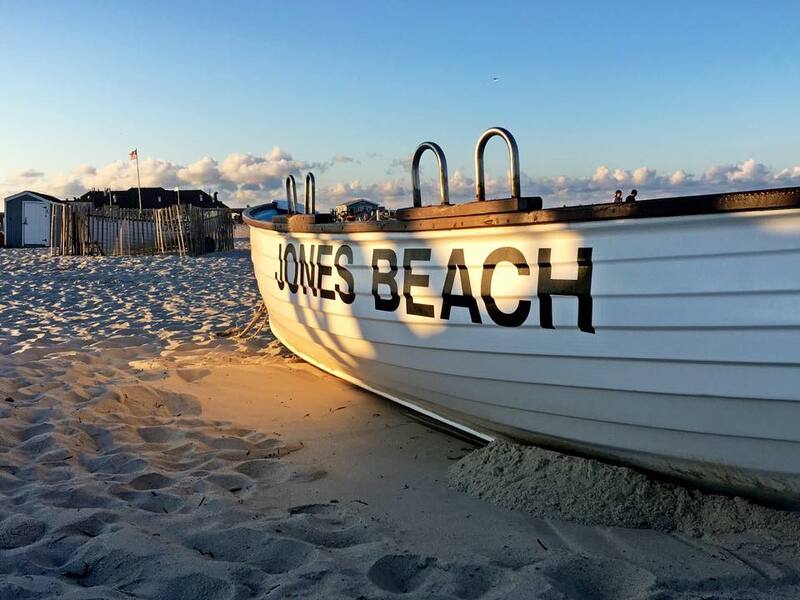 In addition to clean sandy beaches, Jones Beach is also famous for its West Bathhouse and its beachside pool. Only with $ 5 admission for adults and $ 3 for children from 6 years old above, swimming pool and all the amenities can be enjoyed. 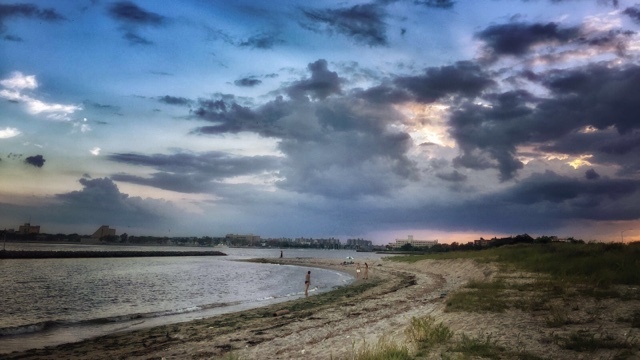 Located in Wantagh, New York, this beach is a bit away from New York City or about 50 minutes away by car, depending on the traffic. I haven't really tried going here with the public transport, but it should well connected as well because we saw many bus stops along the road to the beach. 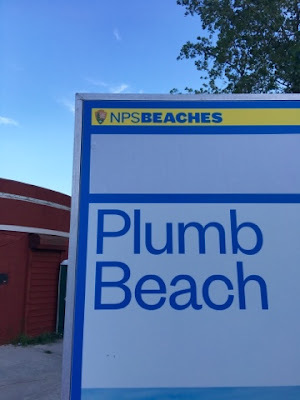 Although the beach is not so ideal for swimming as the water is a bit muddy , but Plumb beach is a nice place to unwind and enjoy the sunset by the beach. This place is famous for windsurfer and kiteboarder. When we came here, the kids played along the shore watching the birds and crabs. It somehow reminded them of Spongebob Squarepants. It is relatively close to the city as it is located in Shore Parkway Greenway, in Brooklyn area bordering Queens. It takes around 55 minutes drive from Midtown Manhattan. We can also reach this place using the subway and buses. BM3, the crosstown bus between Manhattan and Brooklyn, can take us here for around 1 hour and 20 minutes ride. For sure, there are many more beaches that can be visited in New York City area, but we have not had time to visit them. So, if you're planning to come to New York City and you want to enjoy summer and see the other faces of the Big Apple besides its concrete jungle and skyscraper buildings, those beaches can be great choices for you. 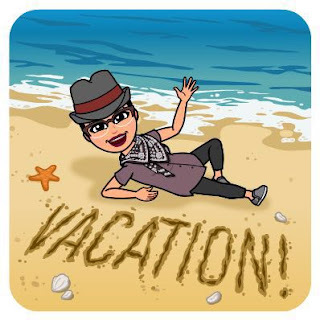 So, enjoy your summer break and let's rock the beach. 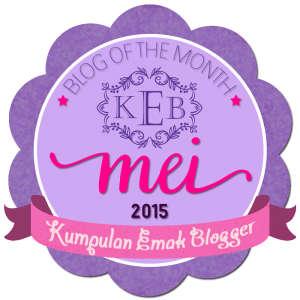 Ke Lampung kapan Mbk semoga bisa ketemuan ya. Hope you can enjoy the beach as well..
Baru tahu mba, kalau New York punya pantai. Sunsetny cakep euy. Pantai yang ada theme park kelihatan menarik. Dufan juga di dekat pantai. Tetapi, suasana pantai kurang berasa kalau udah di dalam areanya. Kalau di sana kayaknya menyatu dengan pantai banget, ya. What a beautiful scenery ya Mba'. Bagus banget itu yang fullcolor plus langitnya. 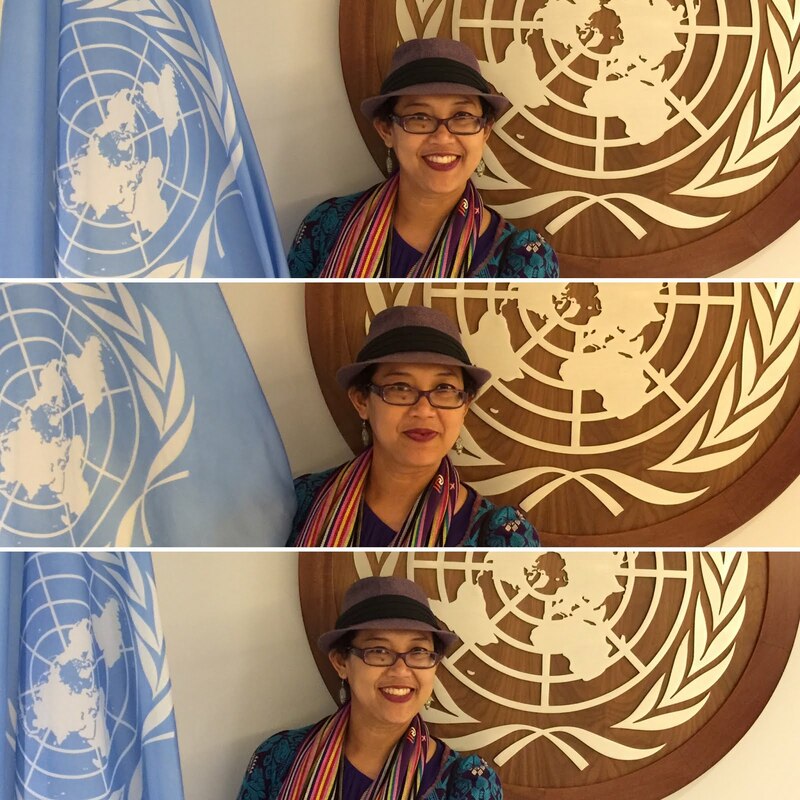 Kamera memang ga bisa bohong ya, Mama Bo. Oh my good! Love the beaches out there! Indah,I didnt realize there were so many awesome beaches in New York. I think I'd want to visit the Jones Beach. Nebraska is smack dab in the center of the US. No beaches, only rivers. :( We don't even have mountains where I live. Just west Nebraska does; closer to Mount Rushmore. We do have bluffs, miles of grassland and corn, the best zoo with aquarium in the world, a great state park, many free events for families, so we're not all boring. Ha!